Some post are even more thrilling to publish than others. And this one feels like a big relief, because I finally uploaded a second video tutorial on my Youtube channel.During 4 minutes I will show you how to make cuffs with thumb holes, a style that has gotten hugely popular in the last few years. I didn’t understand what the fuss was about until I made my first pair a couple of years ago. Now I love them and make them on everything from hoodies to long sleeved workout tops. Hope you’ll find this tutorial helpful. The cuff pattern I use is 30 cm (12 in) lengthwise and the width is 21 cm (8.3 in) (incl. 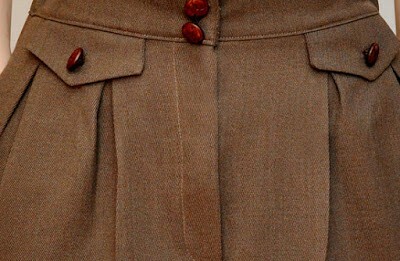 a 0.6 cm 1/4in seam allowance). 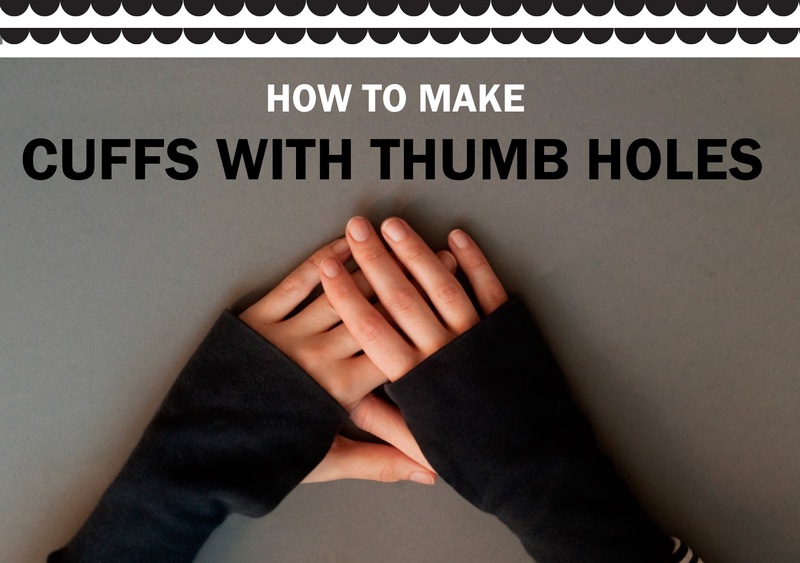 This width is perfect for my hands which are on the smaller side, so you might have to experiment with the size to find the perfect fit for your cuffs with thumb holes. The thumb hole opening is 6 cm (2.4 in) and the lowest part of the cuff should be 1-2 cm long (approx. 0.5 in). I remember writing in my last video blog post that I’d hoped the next video wouldn’t take a whole weekend to finish. Well this one took even longer, mostly because I wanted to make it as instructional as possible and even used some graphics. And yes there are times when I doubt I have the stamina to keep making videos, but the media landscape is changing drastically and for someone like me whose day job consists of creating content I need to start learning this stuff if I want to keep up. And as I love sharing, making videos for my blog seems like a fun and creatively liberating way to get started. Now I just need to get a better grasp on the technical stuff like improving the audio and how to adjust my old DSLR-camera to create better looking film. My plan now is to make one sewing video each month and the next one will probably be something active wear related as I’m planning to make a running dress using color blocking later in November. Speaking of video and the changing media landscape. I interviewed Youtube’s biggest star Pewdiepie when he was still subletting a small apartment in a high rise here in Sweden and he is by far the biggest celebrity I’ve ever met. But I have to occasionally remind myself of that fact since I’m still somewhat stuck in the mindset of traditional media and what makes a celebrity. So yes grasping this change is not always easy for someone like me who spent my first 22 years without the Internet. Video: The Little Red Dress – help me pick a pattern! Wow! I am blown away by your awesome video. It's more professional than some professional videos I've seen. Very useful info, too. I love a thumb hole in my sweatshirts. Thank you! I feel very flattered to hear that 🙂 And great to hear that you found the tutorial useful! You did an awesome job on your tutorial.